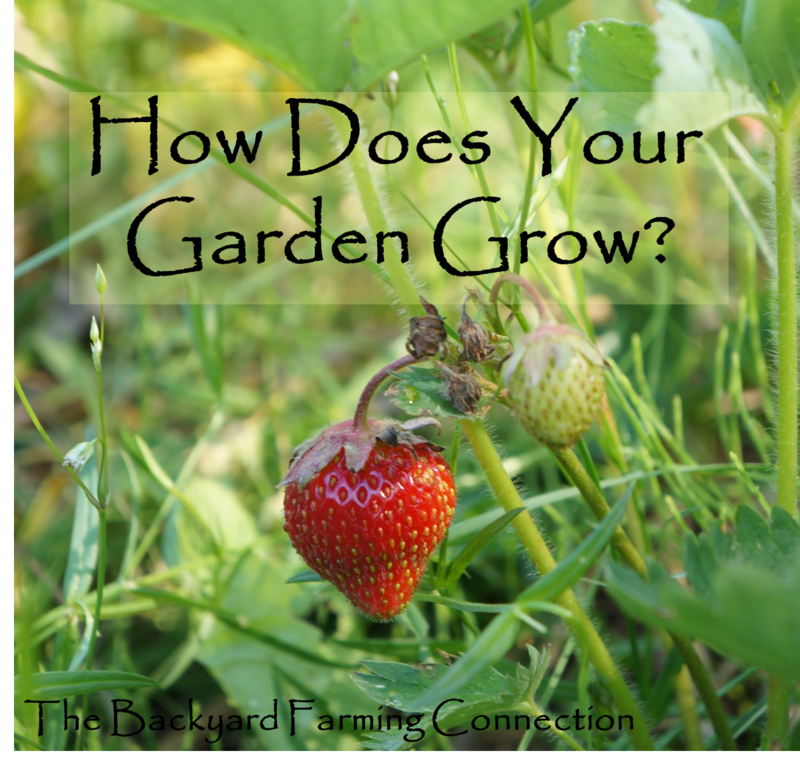 The Backyard Farming Connection: How Does Your Garden Grow? With summer firmly underway and the early crops rolling in, we're entering the time of year when dinner is often simply plucked directly from the garden. The cucumbers this year are sweet, the tomatoes are plentiful, the basil is lush, and the squash are all withering away. My straw bale garden castle has been a fun experiment this year. Half of the castle is thriving while the other half (the shady side) is weak and struggling. I'm thinking the moisture vacillated a bit too much. The potatoes in the tower and in the castle look fabulous and I'm looking forward to a whole pile of early potatoes - I just hope they look as good under ground as the plants look. While we continue to make plans for our upcoming move at the end of August, I'm finding fewer and fewer moments to poke around and pull out those pesky weeds. Luckily with the garden well underway, the plants are forgiving and I'm confident that our last month here we'll be enjoying many of those fresh garden dinners. Check out some of these great photos of other people's gardens from this week and share some of your own in the gardening flickr group. 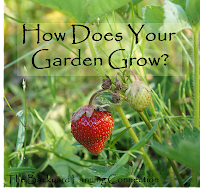 What's growing in your garden this week? If you aren't a blogger, I invite you to join my gardening flickr group and share photos of your garden from this week - I will try to grab a few photos each week to share on my post. Please include the date, a general location and your name so I can give you the proper credit. Your garden looks fabulous! Best wishes with your move. Beautiful - both photos and words.